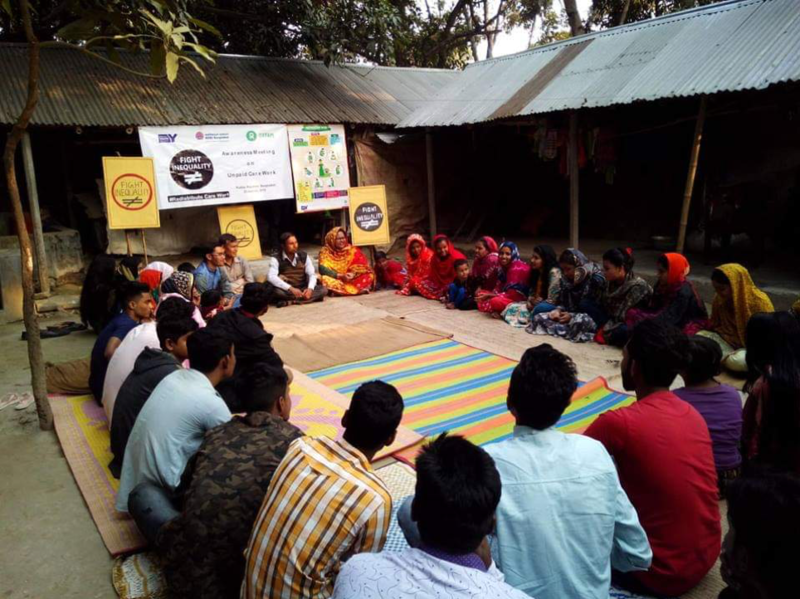 The Empower Youth for Work (EYW) programme is working to improve the socio-economic empowerment of young men and women in rural areas of Bangladesh, Ethiopia, Pakistan and Indonesia. One of EYW’s thematic areas is unpaid care work – meaning household tasks such as childcare, cooking, cleaning, care for elderly family members etc., which you don’t get paid for doing. The issue that the EYW team is trying to address – with the help of local communities – is the imbalance in the division of such work within families. In many societies, it is the social norm for females to stay at home and focus on these tasks, while the men work in paid jobs outside of the home. This creates an environment where women don’t have the time or the energy to pursue their own economic opportunities – a situation which presents a major obstacle to women’s empowerment. 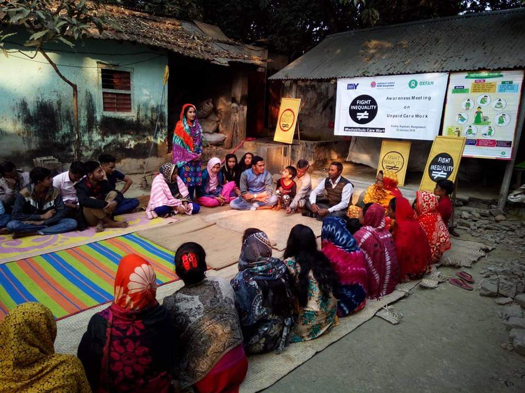 To raise awareness of unpaid care work and its impact on women, RDRS – an implementing partner of EYW in Bangladesh – organized a discussion session at Banesshor Union of Puthia Upazila (sub-district). The meeting, which took place on 23 January, was planned and implemented by the local youth members. A total of 50 EYW staff, other local youth and community members took part in the discussions on unpaid care work and how its unequal distribution affects women and society as a whole. A member of the East Banesshor community supported the event by allowing it to be hosted in her yard. Youth group members decorated the venue, creating an open and comfortable environment where participants felt able to freely express their thoughts and views. Md. 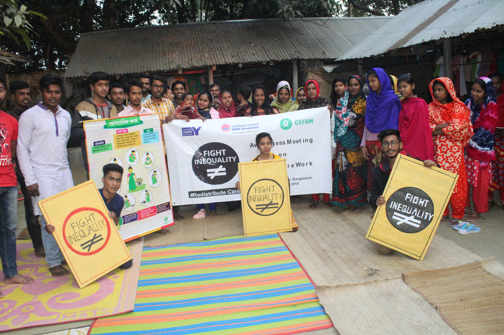 Khalid Hasan Shuvo, a facilitator in the EYW life skills training (in which unpaid care work is a focus area), helped to facilitate the discussions. community conversations and events makes the project more effective.